These past six weeks have been unbelievable! It is crazy how fast they have gone by. My time abroad is coming to an end, but I will take with me everything I have experienced and learned. Not only have I learned a lot about the topics covered by my courses, but I have also learned a whole lot about myself. I have also made numerous new friends here and it was amazing to share these experiences with them. They have enhanced my time abroad and I am not sure what it would have been like without them. Some of Terry’s Troop on the way up to the top of Arthur’s Seat. Getting the opportunity to study, live, and explore Copenhagen was a true blessing. I was fully immersed in the culture and way of life here, which is what I wanted. 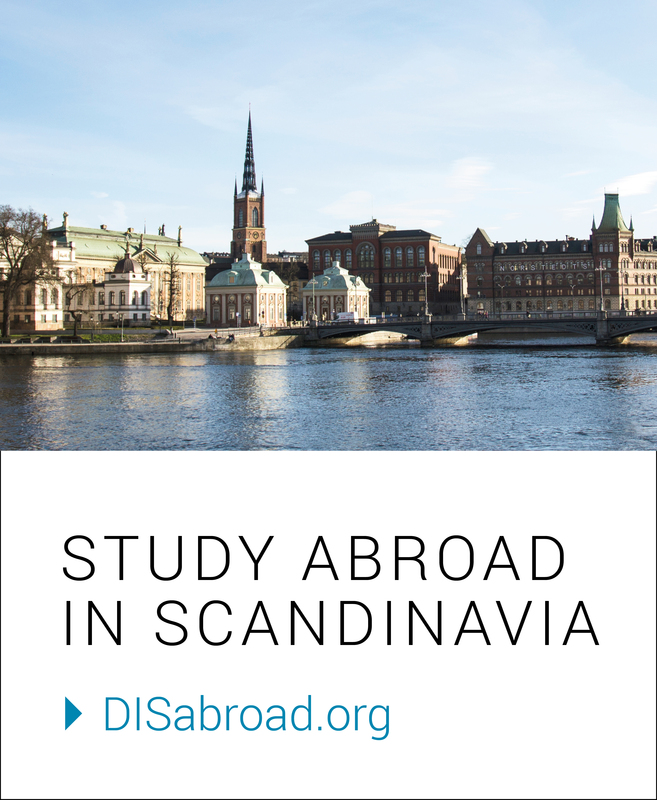 Living with Danish flatmates, as well as fellow DIS students, provided me the balance I was looking for. I was a little hesitant during the DIS application period to put “living with locals” as my first preference, but I am beyond happy I did. My two Danish flatmates, Astrid and Frederik, have become great friends of mine and helped me out so much during my time here. They made transitioning to living here so much easier and were always willing to offer a helping hand. My fellow DIS flatmates, Alex and Sam, were both incredible, as well. It was comforting to have their support, as they were also going through the transition to abroad life. Alex was my roommate and she is like a sister to me, even just after 6 weeks. I can talk to her about anything and we always have a good time together, whether it be eating meals together, going to the beach, or merely sitting and talking. We even have plans to travel together in the future and I hope to visit her sometime soon. Alex and me in Amsterdam on The Fault in Our Stars bench. I will be heading home after Session 2 ends, which is unfortunately really soon (tomorrow is the last day of classes). However, I am going to be spending a lot of time with my family, whom I have not seen in person for a while. I am excited to see them and go on our annual family vacation to the beach. I will also be working at a restaurant and as a coach at an ice hockey clinic. On top of that, I will return to my ice hockey training program that I participate in over the summers with the College of the Holy Cross Strength and Conditioning Coach, Jeff Oliver. I look forward to the rest of my summer, however, I will miss Copenhagen so very much. It has truly become my second home and I most definitely will not forget my time here in Europe with DIS. Thank you for following along and thank you to DIS for an incredible summer! Copenhagen from the top of the Church of Our Savior.